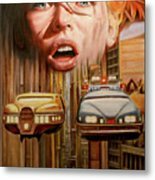 5th Element Tribute by Todo Brennan - 6.625" x 8.000"
5th Element Tribute framed print by Todo Brennan. Bring your print to life with hundreds of different frame and mat combinations. Our framed prints are assembled, packaged, and shipped by our expert framing staff and delivered "ready to hang" with pre-attached hanging wire, mounting hooks, and nails. Wow!!! Beautiful work!!! Congratulations on your sale!!! Congrats on your sale! 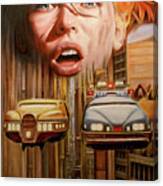 Great tribute to a great movie! Very Nice!! Nice composition! Would love to see your Tattoo artwork! 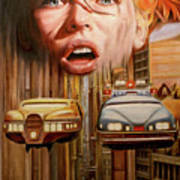 This is a tribute oil painting i di of LeeLoo from the movie 5th Element.